The other day I got a wild idea to try and duplicate a dessert I’d eaten while we were in Las Vegas last month. Part of the complex, involved, slightly frightening directions included a cheesecake layer. Deciding to actually make a cheesecake from scratch, I combed through several recipes and finally came up with this one. 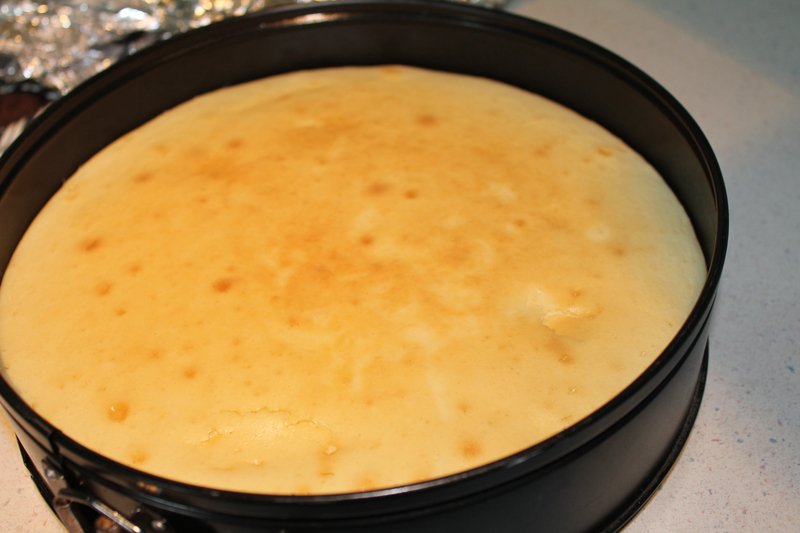 It is the best home-made cheesecake to ever come out of my oven. 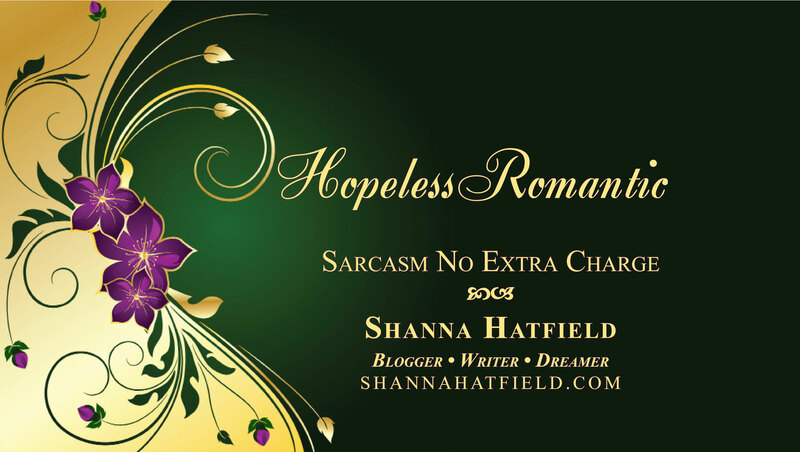 They are usually either dry, taste weird, or just not up to snuff. This one was perfect. Captain Cavedweller even thought so and that is saying something. Without further ado, here’s the directions. 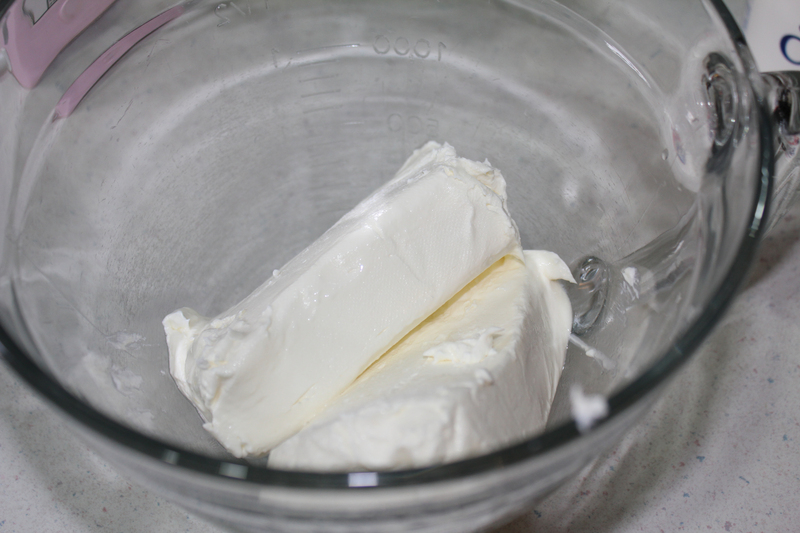 Blend cream cheese until smooth and creamy. 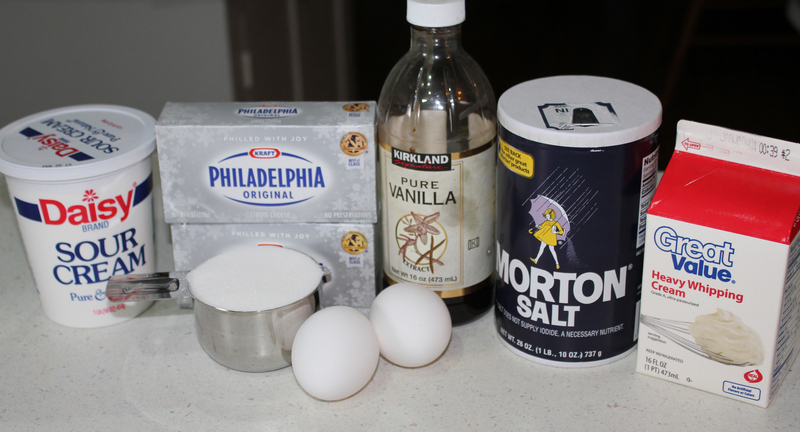 Add sugar and salt, blending well. 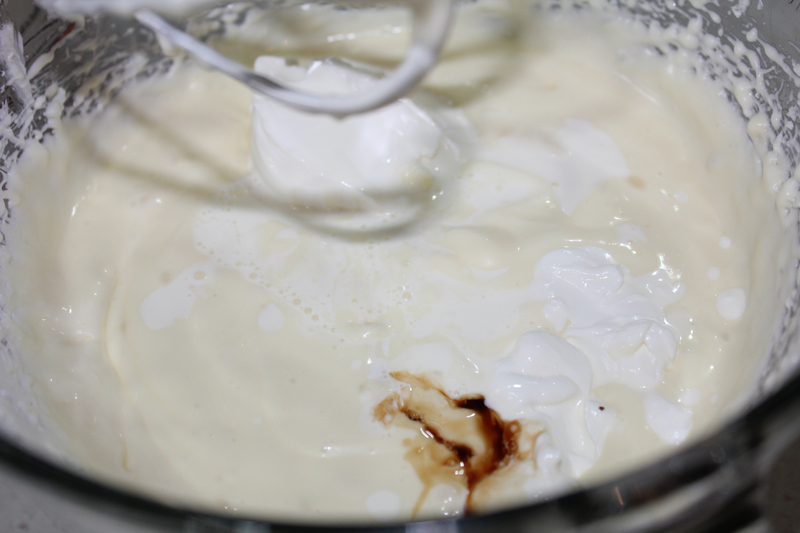 Add sour cream, whipping cream and vanilla, mixing well. 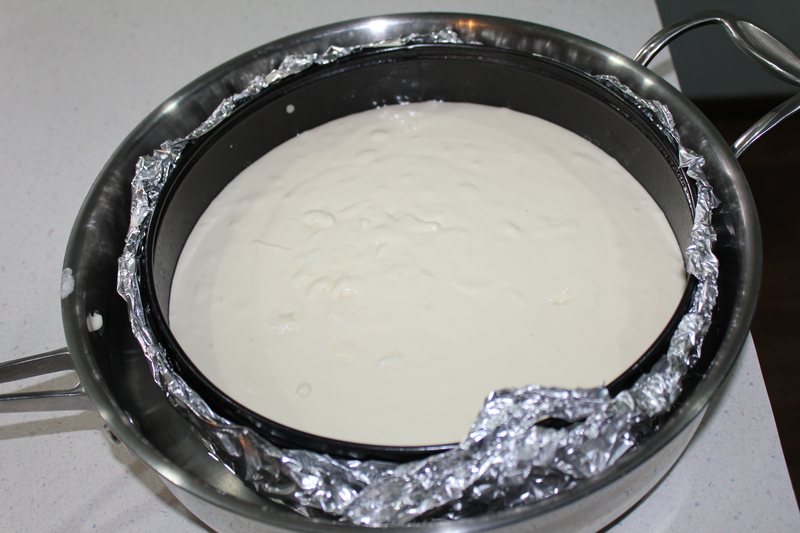 Place the springform in a large roasting pan or deep skillet then pour batter into springform. Pour water around outside edge of springform. 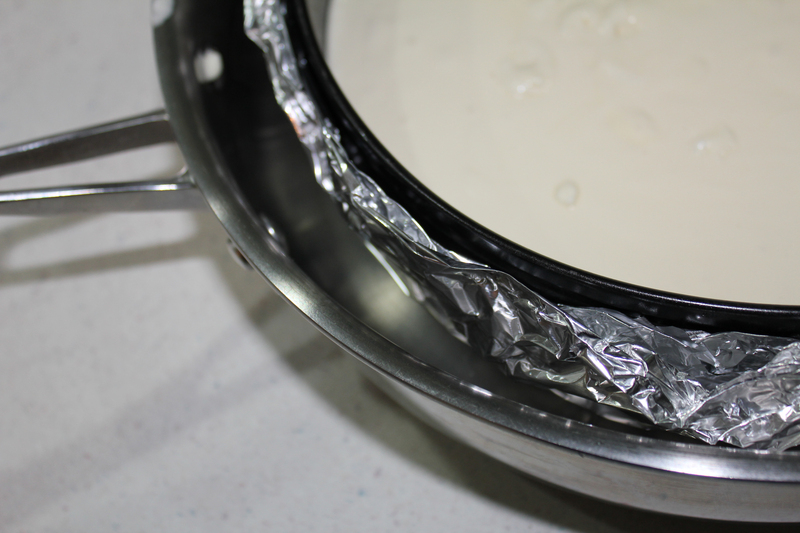 Make sure you’ve wrapped the springform pan in foil to keep any water from leaking into your cheesecake batter. You want the water to come about an inch up the side of the pan. Bake in a 325 degree preheated oven until no longer jiggly and set. Remove and cool completely. Preheat oven to 325 degrees. Place a pan large enough to hold your springform pan in the oven to warm. Put a kettle of water on the stove to boil. Spray a 9-inch springform pan with non-stick spray and line the bottom with a round of parchment paper. Spray it with the non-stick spray as well. Wrap a double layer (or a layer of heavy-duty foil) around the outside of your pan, making sure it comes well up the sides of the pan. You want to make sure no water can sneak in a crack and get into the springform pan. In a large bowl, beat cream cheese until it is smooth and creamy. Add sugar and salt and mix on medium speed for about two minutes, scraping down the sides of the bowl as needed. 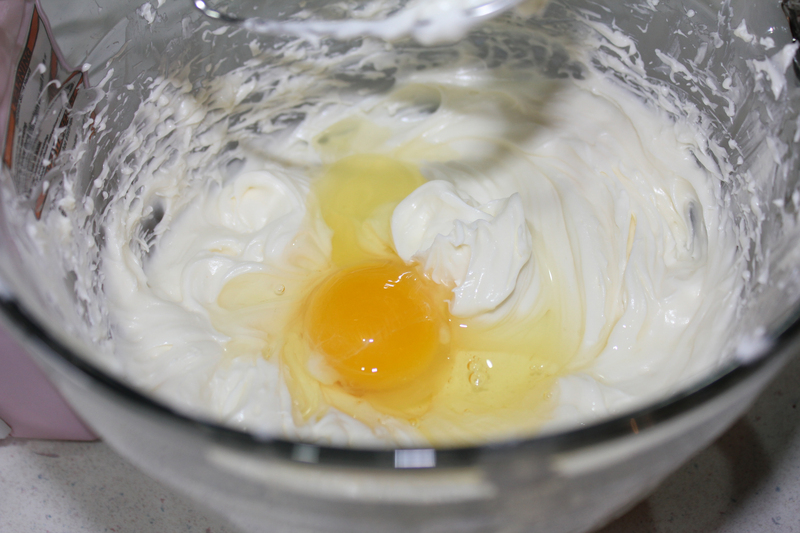 Add the eggs, one at a time, mixing after each addition. 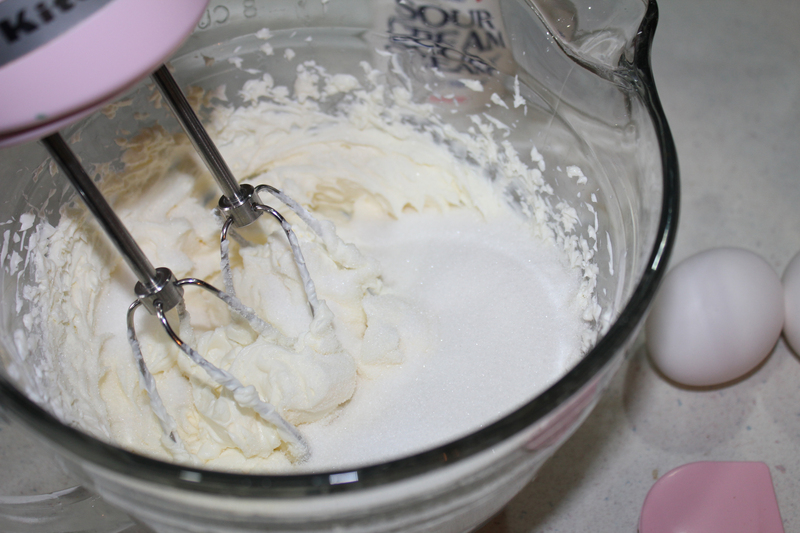 Mix in sour cream, whipping cream and vanilla until mixture is smooth. Remove from the oven when the cheesecake is set and no longer jiggly. 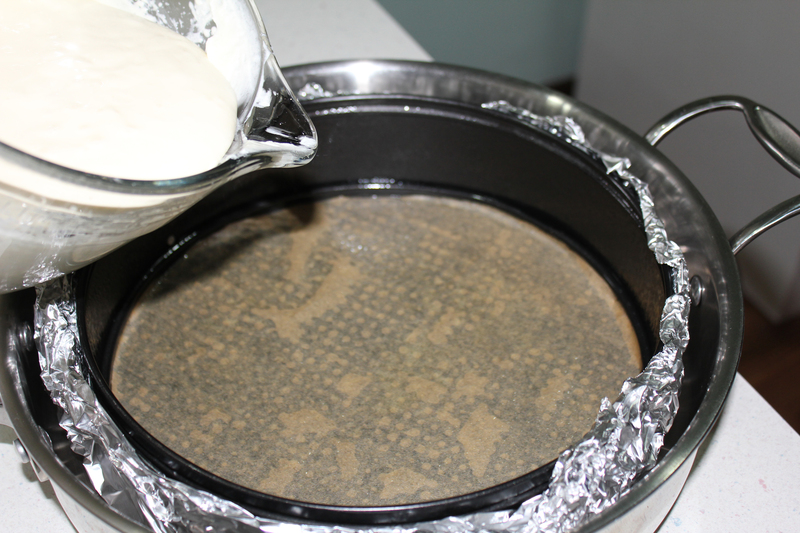 Remove the springform pan for the larger pan and let cool on a rack for at least an hour. When it has cooled, serve immediately or freeze for later eating pleasure. I served this one with fresh blackberries and whipping cream but you could top it with whatever strikes your fancy, fruit, chocolate, nuts, caramel. 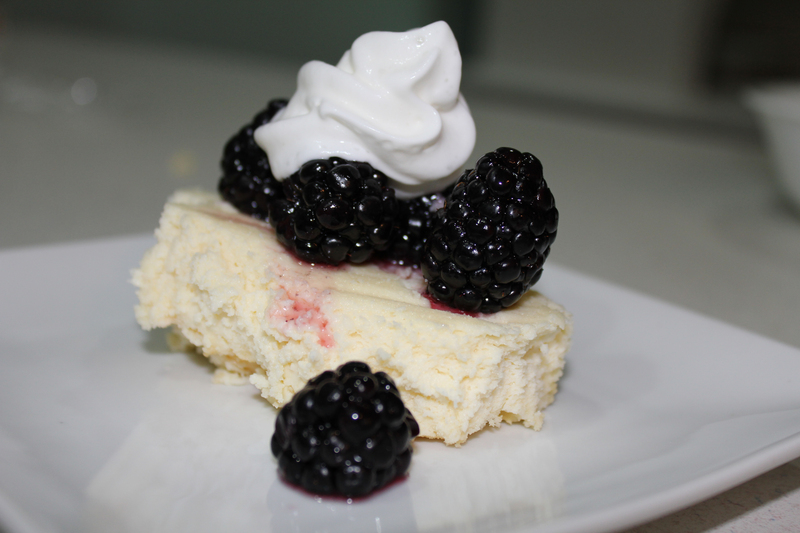 This is a nice basic cheesecake that you can add to as you like. You will notice this cheesecake does not have a crust – and you can certainly make it with one if you choose. Sounds absolutely wonderful. Will save the recipe until I have company, so I don’t eat it all by myself! !